For over 30 years, the professionals at Cablenet Solutions have completed a variety of low voltage cable wiring project throughout the state of Florida for hundreds of satisfied customers. Our professional network and cable installation technicians are committed to completing each project with an eye for detail and a skillful hand. Our industry leading Florida cabling contractor services are provided at competitive pricing, and all of our installed cabling comes with our 25 year warranty! Aside from wireless networks, almost all new technology installations in a home or business starts with a quality cabling installation. from telecommunications systems and VoIP to PBX and high speed internet services. 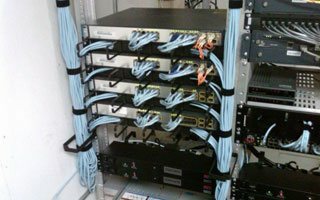 Be sure that the backbone of your networking infrastructure is strong by having our expert technicians install and maintain your cabling. Whether you're installing a traditional closed-circuit television (CCTV) system or a state-of-the-art, high definition internet protocol (IP) camera system, our experienced installers can design and implement your next security and surveillance system. 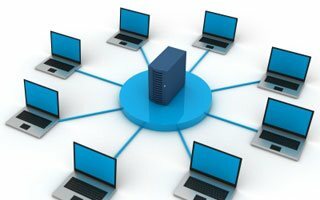 Newer IP systems allow for greater control, high-quality video, and easier digital recording and archiving. If you are looking for a Florida cabling contractor then please call 727-755-0931 or complete our online request form.